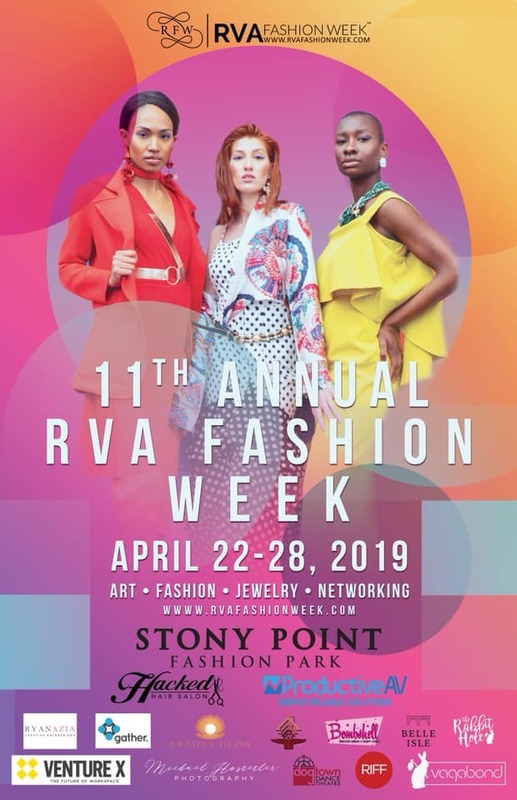 Back for an amazing 11th time, RVA Fashion Week will bring all the glamorous runway action your little heart desires to a variety of venues around town. Here’s our full rundown of what’s in store. 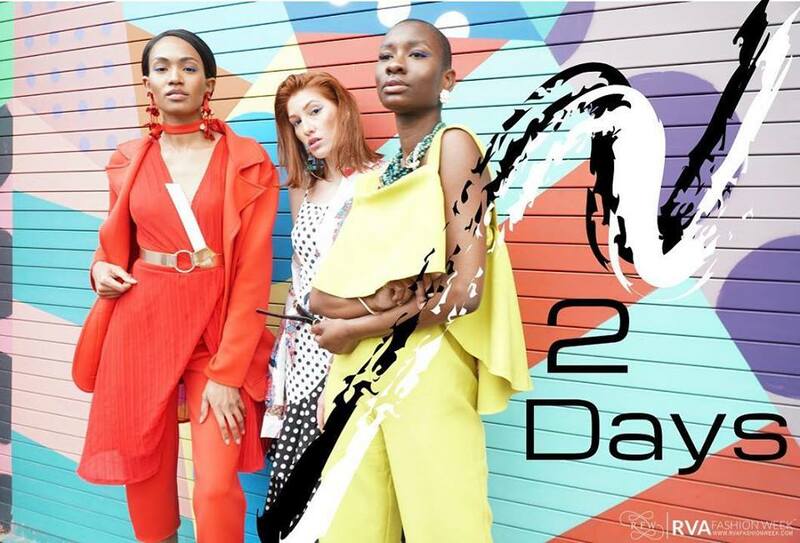 Converging on Richmond this week for six days of colorful runway shows, intriguing industry-minded panel discussions, and invaluable networking opportunities for the creatively inclined, the 11th RVA Fashion Week kicks off Monday, April 22. Masterminded by a ragtag group of VCU students more than a decade ago, the week of events maintains a DIY work ethic to this day, and boasts a heart, soul, and body of volunteer workers. Their effort plays an important role in the community; one previously unknown model who walked the local runway just last year was recently featured on the cover of Vogue Japan, according to a press release. Read on for a day-by-day rundown of all the festivities which will rage on across the city until Sunday, April 28. Trust us, you’re not going to want to miss any of this. April 22, 6- 9 p.m.
Not much is known about the dark acts transpiring behind the closed Funhouse doors — as David Foster Wallace might have urged us to ask: for whom is the funhouse fun? OK no, we’re just kidding — but this event is invite-only, a networking get-together for industry professionals, photographers, bloggers, and the like, according to our sources. Probably a schmooze-fest, but an exciting one, no doubt. Holding that golden ticket? Let us know how it goes. April 23, 6- 8:30 p.m. The first real event of the week for us laypeople, the Model Behavior panel will cover everything about, as the cheeky wordplay of the title suggests, professionalism in the modeling side of the fashion industry. Expect networking and self-branding tips, what to wear to a model call — you know, before you get chosen and put the real stuff on — and all the Q’s and A’s you can hope for. This event is really just a pregame for the real event — the WEAR RVA Fashion Show — but it’s sure to be a hootenanny nonetheless. Officially branded a “sip + shop experience,” which we think is incredibly cute (in a good way), the evening will include shopping from featured designers, boutiques, and local businesses; booze catering by Belle Isle Moonshine; and DJing by Rhythm of Love. What’s more, tickets go directly to The Network of Enterprising Women’s (NEW) scholarship fund, so what’s not to love? April 24, 6- 9 p.m.
Do you dream in silk and lace? Wake up in the mornings surrounded by Micron pens and brimming sketchbooks? This panel, crafted just for aspiring designers, is definitely for you! Like “Model Behavior,” “Designer Download” will tread the ground of professionalism and personal branding, but we’ll also get words and stories from some of the best: designers who have succeeded against all odds in markets such as film, designing for celebrities, international publications, and more. Check out the panel lineup online, and prepare your questions for the Q and A. Terms like “monumental success” and “against all odds” are being thrown around on the website, so you know you aren’t going to want to miss this one. April 25, 6:30- 8:30 p.m. This one’s really special. Local high school-aged girls strutting the catwalk in local boutiques’ hottest summerwear. Everything goes to the NEW scholarship fund, which, according to the RVA Fashion Week website, resulted last year in five different scholarships for local ladies. Feel good with your complementary “swag bag” and get a tad tipsy at the cash bar. Support the scene, people. It’s all going down at WEAR RVA. April 26, 5- 9 p.m.
Day to Night — we’re not entirely sure what this means, but it sounds stellar. Or another daytime-equivalent term. But, we’ve just got to say — this one’s free; jam-packed with features from designers including Haus of Klyde, Runway Couture, Stitch by Chanel, High Maintenance LLC, and many more; and there’s going to be food and shopping popups all over the place. Yeah. Need we say more? April 27, noon- 5 p.m.
Are late nights and evening shenanigans just not really your thing? Not a twentysomething anymore? Tend to crawl into bed with an Agatha Christie paperback at the stroke of 9? Well, you’re in luck, because the Fashion Freedom Day Party & Runway Presentation not only starts and ends a reasonable time, but it’s packed with more than enough fun for one person, or even all your fashion enthusiast friends at once. Here’s the lowdown: food, drinks, music, streetwear-inspired runways, and a contest for you — yes, you! Unleash your inner Tyra Banks and come dressed in your favorite outfit; you might be crowned “Best Dressed” before you make it home at that oh-so-sweet reasonable hour. April 27, 5- 7 p.m.
Masterminded by actor and Virginia native Tim Reid (That 70’s Show, WKRP In Cincinnati), and hosted by model and designer Salome, the Cultural Fashions Showcase will bring together models and designers from all over the world, and will be filmed for international distribution. Proceeds benefit Reid’s nonprofit, which assists young people looking to break into the entertainment industry. WTKR gave us a little sneak peak last month, so check that out if you haven’t already. April 28, 5- 10 p.m.
Maybe the perfect way to bring RVA Fashion Week to a close, An Evening at Black Iris is everything this wide-ranging week of events has to offer bundled into one classy little shindig. Come on, where else are you going to find networking opportunities, body painting, and a fashion showcase in the same space as a cigar lounge? It’ll be interactive. It’ll be fun. And there’ll be way too much going on to concisely list here. Just go — you’ll be glad you did. It’s kind of amazing to look up every February and realize that it’s been another year with the awesomeness of WRIR right here in our city. From one unicorn to another, we certainly must admit that the cards tend to be stacked against the kind of radio station WRIR is — a community-run, volunteer-operated radio station that manages, despite its low 42-watt broadcast power, to reach a wide range of local listeners and to connect strongly with the Richmond musical community. What’s more, it’s a great place to learn more about the issues of the day, from right here in Richmond to around the country and the world. So yeah, it’s a little tiny miracle to see WRIR holding on for another year — 14 so far, and here’s to many more. It’s also a cause for celebration, and that’s what the station and its community will be doing when they gather once again at the Renaissance Ballroom this Friday night for the latest edition of a yearly party that never fails to deliver the goods. This year’s edition features all kinds of excellent music, covering the wide spectrum of local talent. Unmaker are at the top of the bill, and their dark, heavy, metallic postpunk is sure to bring down the house at the end of a long happy night — especially considering their always-active live performance style. But that’s just the beginning, really. The music on offer runs the gamut from the cerebral hip hop of Alfred to the indie rock of Minor Poet and from the klezmer (jazz-influenced Eastern European/Jewish folk dance music) sounds of the Vulgar Bulgars to the melodic alt-rock of Rebekah Rafferty and the Wakes, this show has seriously got everything the curious music fan could desire. Plus, it brings the kind of adventurous programming you can expect from WRIR into real life before your eyes, as Black Liquid coordinates a hip hop showcase that’ll recreate the kind of improvised rhyming excellence that often graces his Saturday night radio shows, and Jameson Babbowski brings a talented slate of local comedians to his own non-musical showcase. And of course, all your favorite WRIR DJs will be in the house, spinning tunes and making friends. Best of all, your ticket price goes toward helping WRIR bring us another year of awesomeness. What could be more worthwhile than that? Vanilla Summit, Khrundo, Return To Sender @ Vagabond – Free! 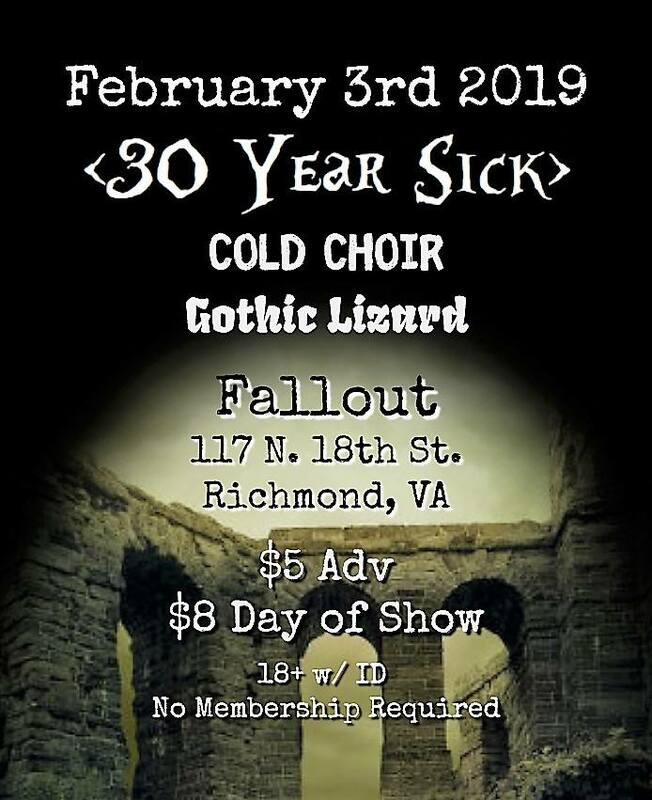 Now that we’re out here in the world moving on after the loss of Strange Matter, there’s definitely been some urgent searching (at least on my part) for another reliable local venue to fill in the mid-week holes in the Richmond live music schedule. What I’m fast learning is that on Wednesday nights, Vagabond is likely to deliver the goods. 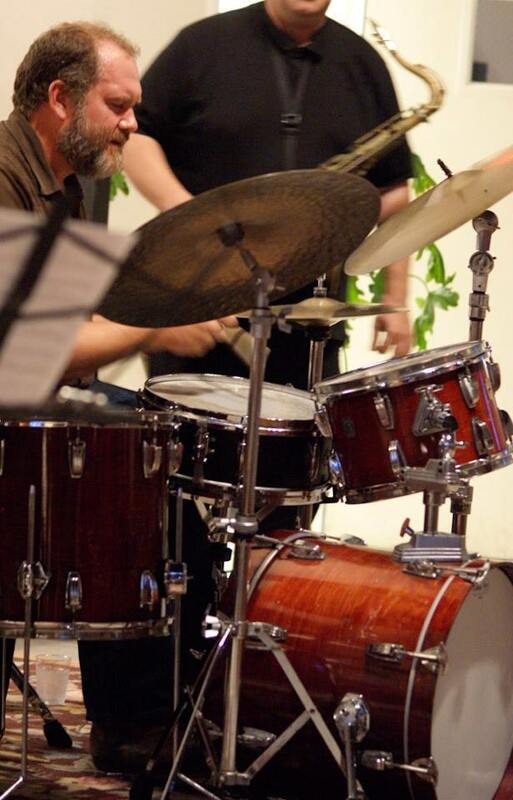 Their Jazz Wednesdays series is a great place to be pretty much every single week if you want to learn more about the community of excellent jazz musicians existing in Richmond. Their scene may not get as much attention as punk, metal, or hip hop, but that says nothing about what the local players have to offer — which, it turns out, is a lot. Vanilla Summit are a five-piece jazz group who’ve been grabbing spots on live dates around town for a while now, and their 2017 Green Session EP shows exactly why — this dual-drumming quintet creates some excellent funky grooves while also bringing the introspective melodies we so often want from jazz. 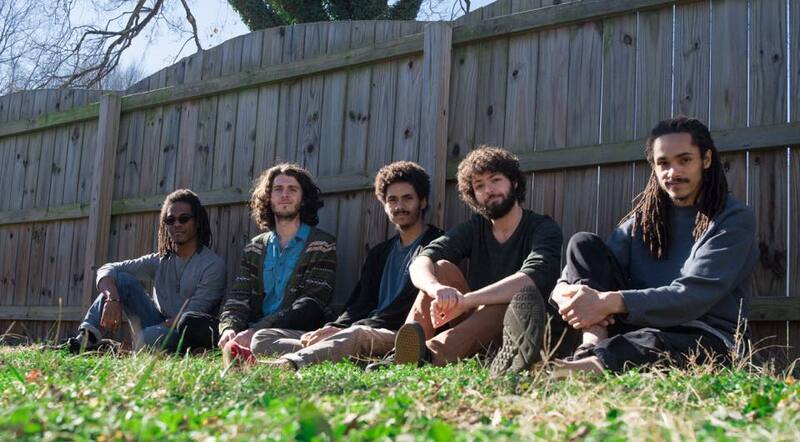 They may not be joined live by the ever-talented McKinley Dixon, who graces one of the tracks on their EP, but they will be performing along with a couple of intriguing ensembles, also hailing from the world of local jazz. Khrundo is a group led by guitarist Jake Adams, which is apparently going to feature nine members on this Wednesday night, all coming together to kick some ferocious grooves. Plus there’s Return To Sender, a bass-less trio led by Vanilla Summit sax player Nate Clark, to kick things off right. If you don’t know, you’re gonna learn. Zack Mexico isn’t one guy, it’s a band — and a full one at that, featuring eight members, two of whom are drummers who each play full kits. And this group doesn’t hail from the country across our controversial Southern border; instead, they come to us from the much closer region of North Carolina’s Outer Banks, which must be a pretty wild place to be if you’re not a tourist or a vacationer. The music Zack Mexico makes is certainly wild, and hard to pin down as well; what sort of sound you get from them depends significantly on which track you listen to. However, one thing can be determined for sure — there’s a psychedelic sensibility that underpins everything this band does, and an unorthodox approach to music that lands them pretty far outside of what we expect from “indie” in 2019, though it always seems to result in catchy tunes that get your feet tapping and put a smile on your face. In that way, they’re a perfect musical companion to one of the best new bands to come out of Richmond in the last year. I’m speaking here of Piranha Rama, of course, whose music can just as easily be said to be catchy unorthodox psychedelic genius — as you know, if you heard their excellent LP from last year. Openers Billy Neptune will get this show started right, and Piranha Rama and Zack Mexico will come together to take care of the rest. Get on board. 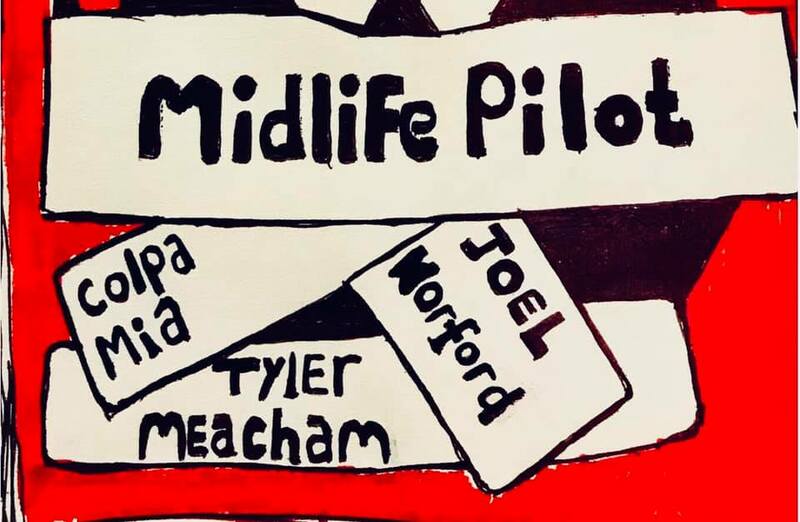 Midlife Pilot, Joel Worford, Colpa Mia, Tyler Meacham @ Garden Grove Brewing – Free! Here in Richmond, the kids really are all right. This show is a good opportunity for all of you to find that out, assuming you haven’t already been paying attention to the many mini-waves of talented singer-songwriters bringing out excellent music around this wonderful city over the past couple years or so. Midlife Pilot are at the top of this particular list, and they’ve certainly shown sufficient merit to justify that position — this group, the brainchild of singer-guitarist Casey Graham, released an excellent EP of emotionally-oriented melodic alt-rock tunes late last fall. While Midlife Pilot demonstrated an outstanding full-band sound on that EP, Ready To Be That Way, it’s hard to say exactly how it’ll translate live, since Graham himself played everything but drums on the record. Can we expect an Into It. Over It.-style solo performance? Or will there be a full band onstage? Either way, based on Graham’s track record, we’re sure to get some awesome songs out of it. Colpa Mia is more clearly a full-band effort, and recent single “Atlas” shows them dabbling in both the emotional melodies of the alt-rock world and dipping into synthesized postpunk/indie sounds. 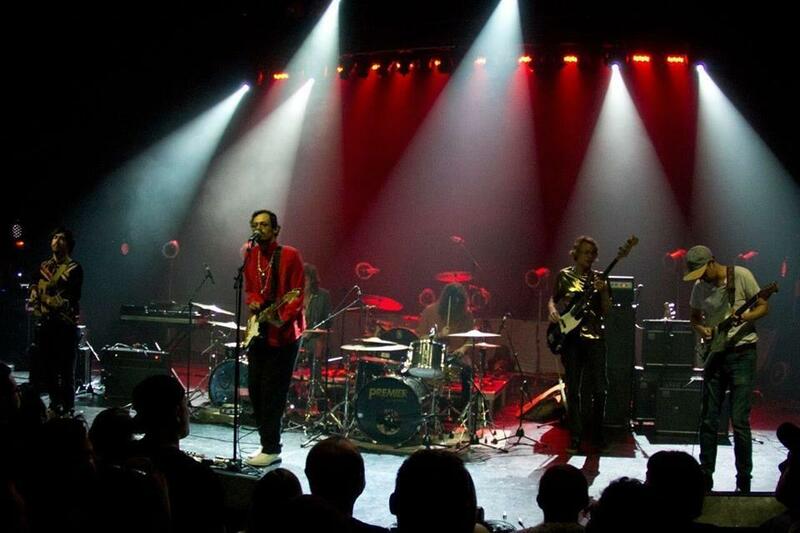 Live, their multi-layered sound is sure to captivate. More definitively solo singer-songwriters Joel Worford and Tyler Meacham will round out this excellent bill of up-and-comers, which you can partake of for no money down! How can you pass that up? Be there. I don’t know where we as a society stand on loud, noisy rock n’ roll in this day and age. It seems like if you check out festival lineups it’s the indie bands who get the most acclaim, and when the occasional band manages to rise above the fray and get a reputation for rocking hard, they draw more hate from the tastemakers than anything else. So are all y’all gonna think I’m a behind-the-times middle-aged lady for sending you to see Them Evils on a Saturday night? You’ll be either frustrated or relieved to know that I really don’t care how you judge me on this one. I’m over here rockin’ out, blissfully ignorant of any judgment that might be coming my way. And you’ll be in much the same position if you make your way to the Canal Club Saturday night. Because while the hipsters may all be allergic to distorted guitars and hard-hitting good-time grooves these days, it’s always such a relief to cast off that albatross of manufactured coolness and let yourself enjoy something sincerely. 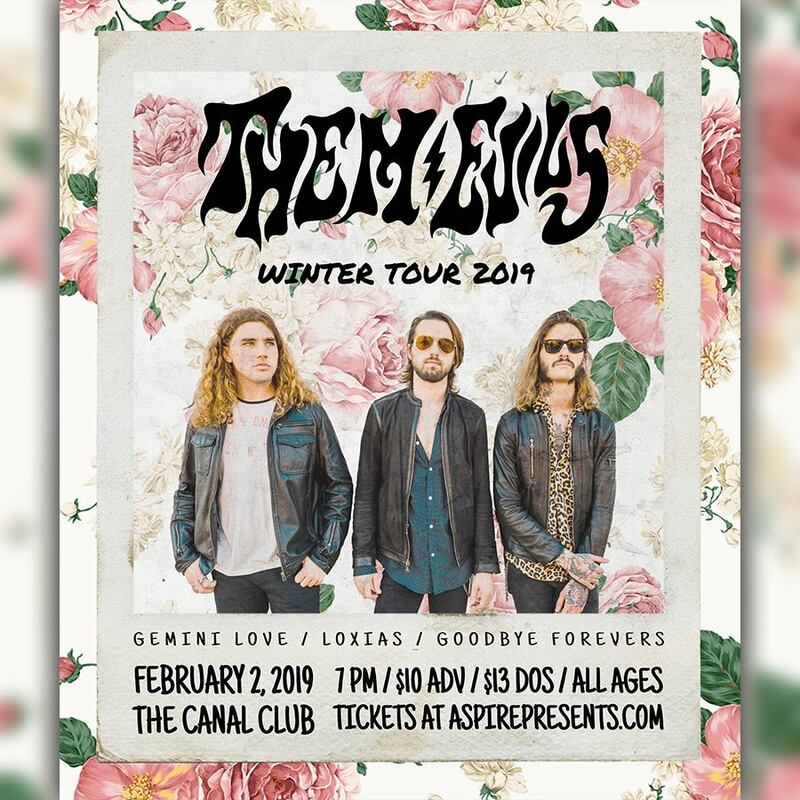 Them Evils are primed to provide you with some sincere enjoyment, and in all seriousness, you cool kids who enjoyed Wolfmother and Red Fang at one time or another are gonna dig this just as much as your Greta Van Fleet-loving little brother will. Stop with the excuses and show up already. 30 Year Sick is a pretty evocative name for a band, even if any contemplation of the concept behind the name just makes you (or at least me) think, “There’s no way you’d stay sick for 30 years and not die.” I mean, unless we’re talking “siiiick!” in the modern-slang sense of the term, in which case we just end up down a rabbit hole of talking about which bands that have been around since the late 80s still legitimately rule (spoiler: not many, that’s for sure). But seriously, we’re not here to talk about that — we’re here to talk about the show that’s coming to Fallout, everyone’s favorite Shockoe Bottom fetish bar, on Sunday night. 30 Year Sick, the band, who hail from North Carolina, have a pounding synth-goth sound, which is definitely on the rockin’ end of things where that genre is concerned. Their 2018 EP, Postpunks, has an intriguing title that certainly invites rock-crit types like myself to use lazy genre terms, but I’m trying really hard not to take the bait. Instead, I’ll tell you that 30 Year Sick mingle a gloomy rumbling rhythm section with ominous guitar and synth melodies, all of which is topped by the true star of the show: Akmeraj Niroc’s incredibly powerful voice, which is strong enough to raise the tiny hairs on the back of your neck. And then the whole band will rock you out in a manner sure to thrill fans of Sisters of Mercy and Killing Joke alike. Don’t be afraid — explore the darker corners of Fallout for this one. It’ll do you no harm. It’s a good week for dark, gothic sounds. 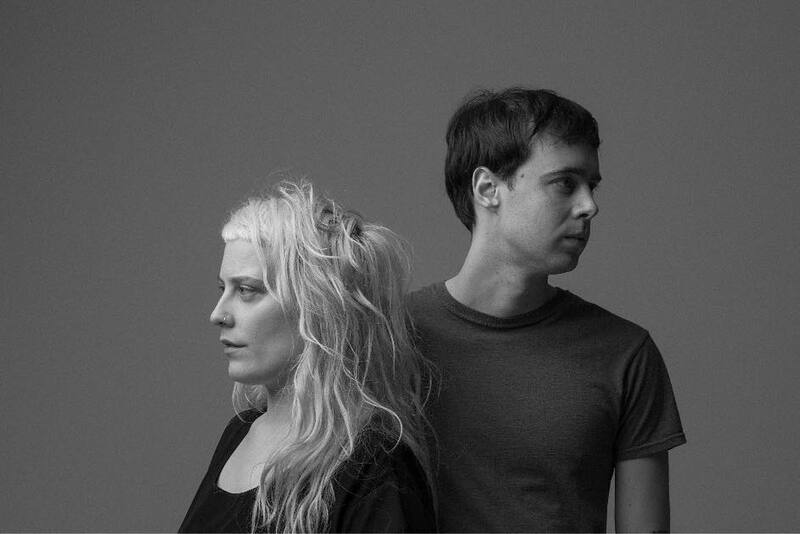 Spooky electronic duo Boy Harsher are releasing their latest LP, Careful, this Friday, and then on Monday, they’ll be here in town to play it live for us all. Careful was clearly born out of some pretty hard times, from loss of loved ones to difficulties in relationships, and singer Jae Matthews puts all of that into Boy Harsher’s music, combining as always with electronic musical genius Gus Muller to create an album’s worth of foreboding synthesized soundscapes. Boy Harsher’s dark melodies and unnerving lyrical conceits have been compared (even by members of the group) to a David Lynch movie, and sonically, their work lands closest to a diabolical combination of Suicide and Yaz, with a strong dose of Nitzer Ebb-style severe European dance music. The kids in gleaming black Doc Martens will be stomping on the dance floor to this one, for sure; meanwhile, Matthews and Muller’s riveting presence is sure to keep you focused on the stage. Local electro-freaks Aesthetic Barrier will kick this all off, and we’ll get a bonus appearance from Nightcrwlr, yet another identity of the shapeshifting Kristina Esfandiari (King Woman/Miserable). It’s all going to be so amazing. RVA jazz really is a solid ticket for your midweek musical jones in 2019, and that’s probably why our week is bookended by shows that fall under that category. This one brings us the latest appearance of a Brian Jones-led ensemble here in Richmond, and as local jazz heads know, the presence of Brian Jones in any group is a sign of top quality musicianship. Of course, we’re not talking about the original Rolling Stones guitarist who died in the late 60s, we’re talking instead about the local drummer who has played with everyone from Agents Of Good Roots to Jandek to Randy Brecker. The Jones trio on display this time will include fellow RVA jazz luminaries Daniel Clarke (piano) and Randall Pharr (bass), but one of Jones’s most frequent collaborators, saxophonist JC Kuhl, will also be on the bill — but performing with the other group. The Doug Richards Orchestra will contain around 18 different musicians on this Tuesday night, including local jazz luminaries like John D’Earth, Bryan Hooten, Stefan Demetriadis, and the aforementioned JC Kuhl, as well as all three members of the Brian Jones Trio. Doug Richards, who founded VCU’s Jazz Studies program in 1980 and recently retired after four decades at the university, has a robust pedigree of his own, and what he brings to this formidable ensemble is sure to be intriguing and delightful. Don’t miss a moment. 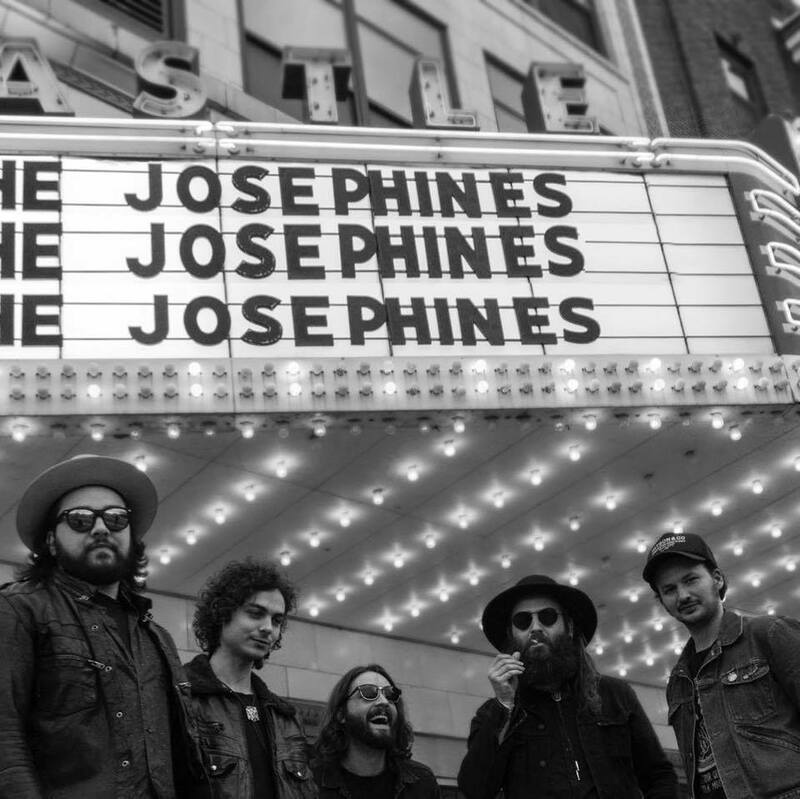 If you like to rock but also identify strongly with the Southern sound with which all of us from this state are intimately familiar, the music of The Josephines is sure to call to you on a deep, primal level. This group — yet another in which a feminine name belies the all-masculine lineup — hails from Kentucky and will definitely remind you that that state, like Virginia, is very much a part of the South no matter what latitudinal parallel Bowling Green sits on. They’ve got loud rockers in their repertoire that are sure to have you stomping, raging, and headbanging, but they’ve also got a big dose of bluegrass in their sound, ensuring that you’ll never forget what state they hail from. The Josephines’ 2017 EP Sober Up certainly lets you know the musical headspace where these guys are coming from. Likewise, Hampton Roads local country ensemble The Heart Stompers lets you know where they’re coming from right in their name. Formerly known as Gina Dalmas and the Cow-Tippin’ Playboys — certainly an evocative name in itself — this group taps into the outlaw country sound of the 70s and 80s with a modern punk edge and an amazing voice out front, courtesy of Gina Dalmas herself. If you can get down with some honky-tonk partytimes, Toast is the place to be for you on Friday night. 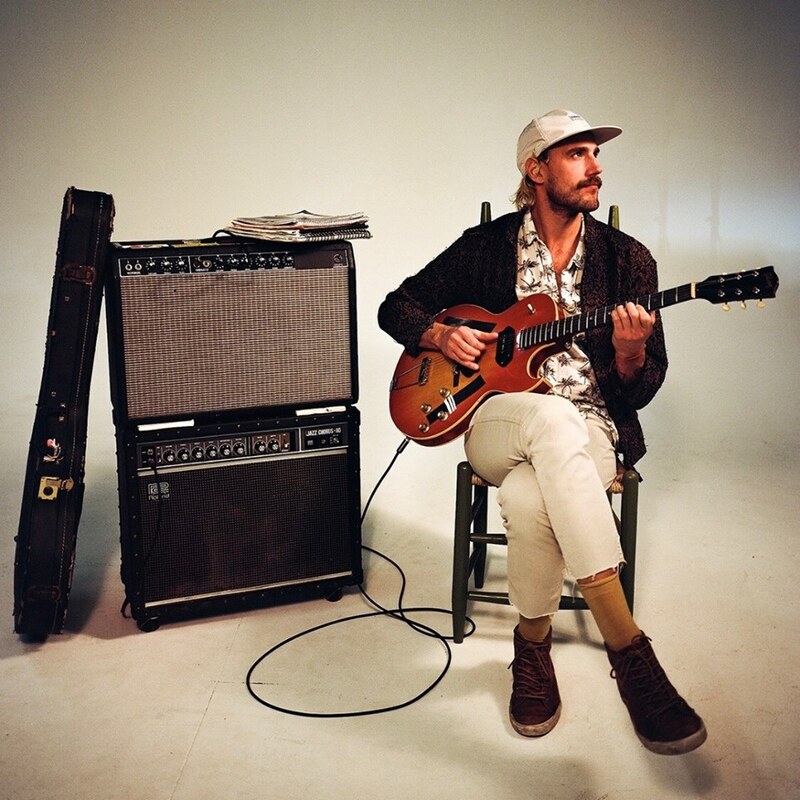 You Tidewater residents are sure to have a fun Tuesday night at the Boathouse with Rayland Baxter. This alt-country singer-songwriter comes from a music family (his dad played on REM and Bob Dylan albums), and certainly has his feet planted in that tradition, as his more alt-country/folk-Americana tunes make clear. But on his latest album, Wide Awake, Baxter showed that he’s capable of the sort of widescreen pop that made the Beatles and the Byrds legendary figures that influenced a generation. Baxter taps into that psychedelic power-pop sound rooted in Americana dirt that is so au courant in 2019 United States of America, evoking the Beach Boys, the Grateful Dead, and other powerful musical touchstones with aplomb… and just a splash of post-Mac DeMarco slacker irony. But we shouldn’t focus only on our headliner here — tourmates Illiterate Light hail from right here in VA, Harrisonburg to be exact, and have been making a powerful impact on the commonwealth’s music scene for a couple of years now. For a guitar-drum duo, they make strong, deep music, which connects power-pop, alternative rock, and the melody-uber-alles alt-country approach of My Morning Jacket or Band Of Horses. They show off all this and more on brand new EP Sweet Beast, which is an excellent calling-card to present to music fans of all stripes who find themselves wondering whether they should take the plunge on these local boys striving to make good. Message from us: dive in. You’ll be glad you did.